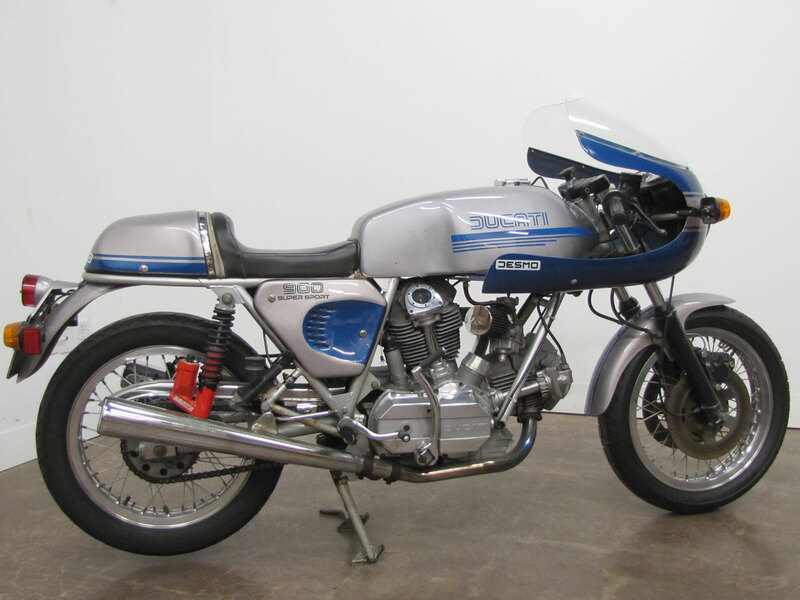 Riding modified Ducati 750GTs, in 1972 Paul Smart and Bruno Spaggiari finished first and second at the fast, Daytona-like Imola 200 in San Marino, Italy. 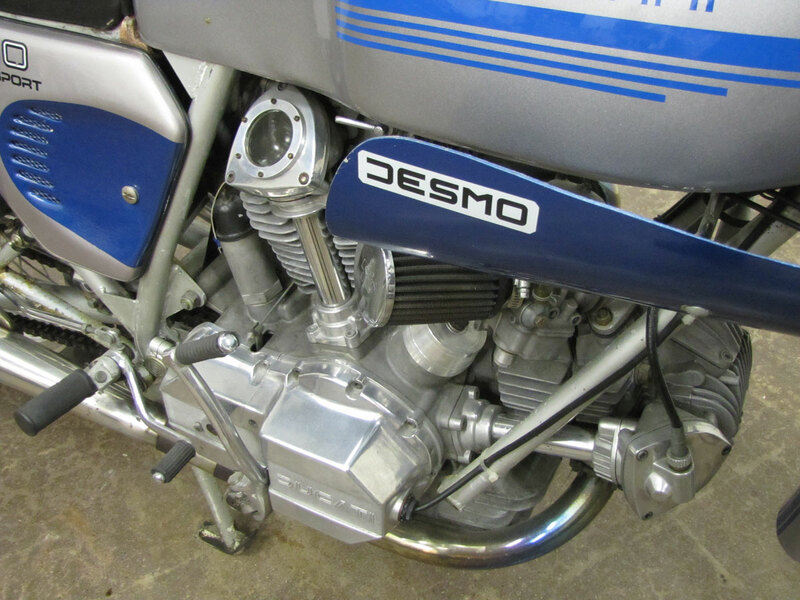 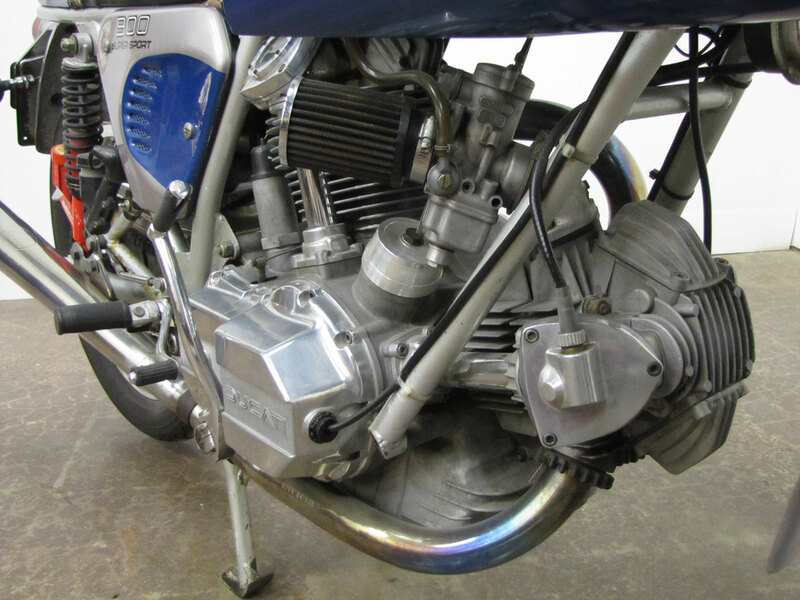 Putting their 1972 race wins to work, in 1974 the Italian manufacturer released a production desmodromic* valve 750 called the 750 Super Sport. 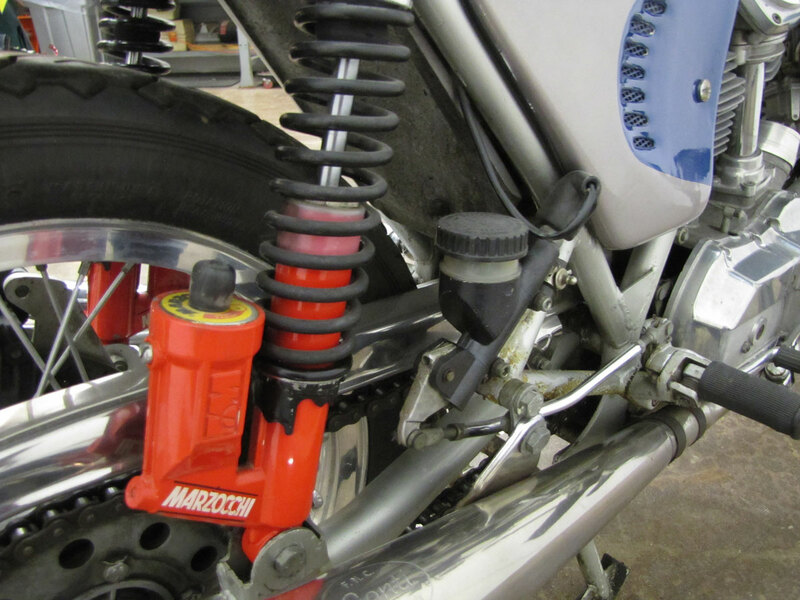 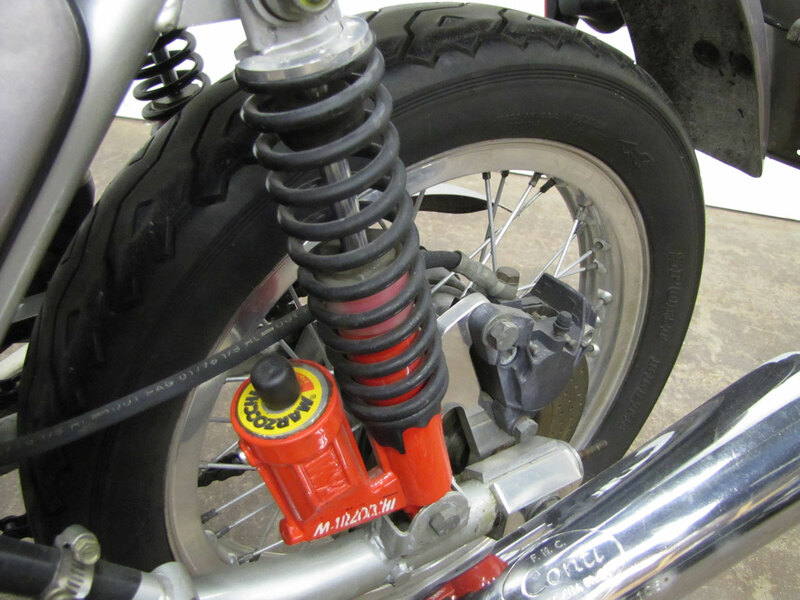 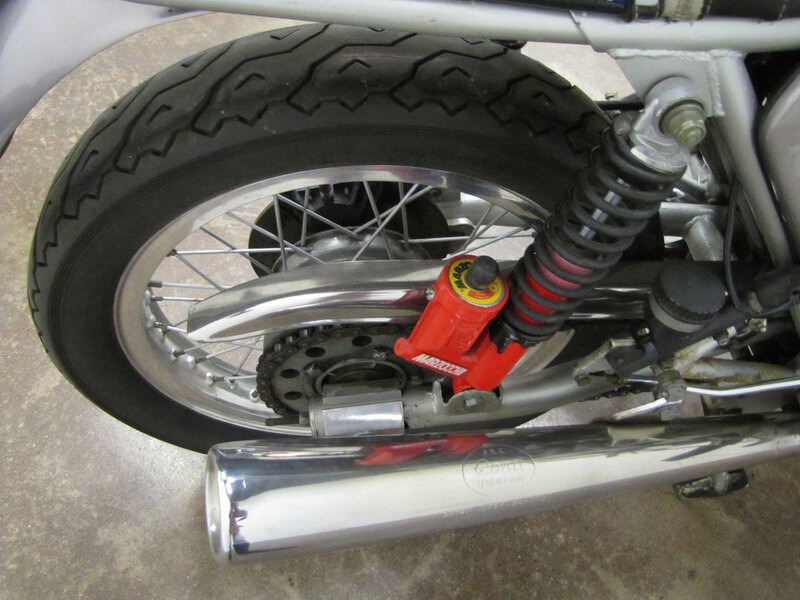 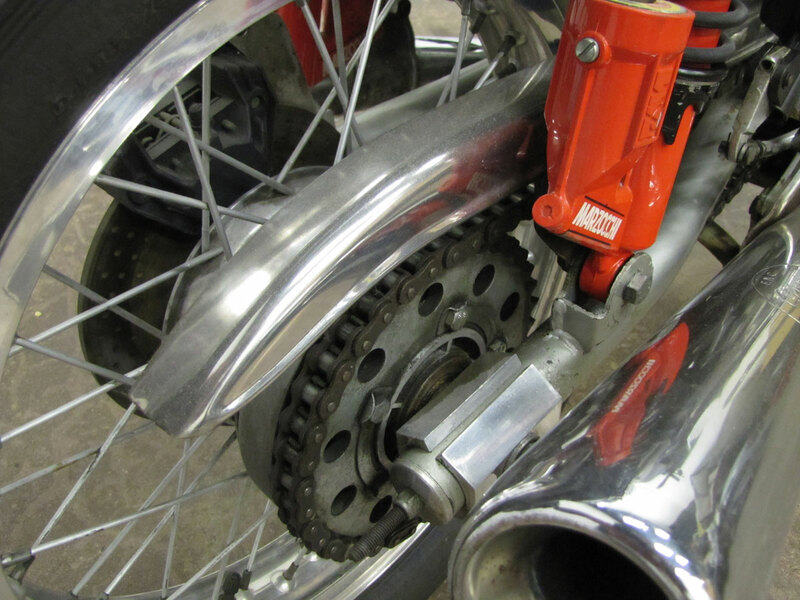 Ducatis of the era used state of the art frames inspired by the Colin Seeley item used on some of Ducati’s GP bikes, large diameter forks and swing arms offering great stability at race track speeds. 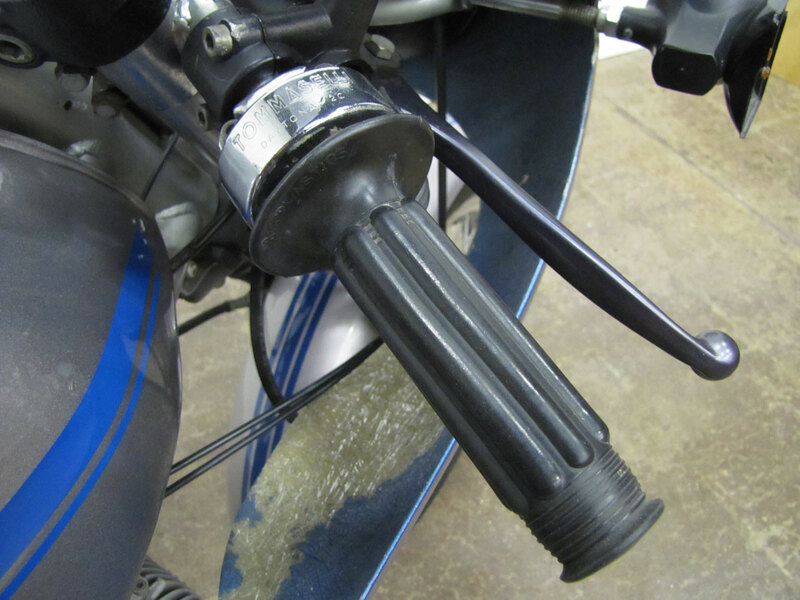 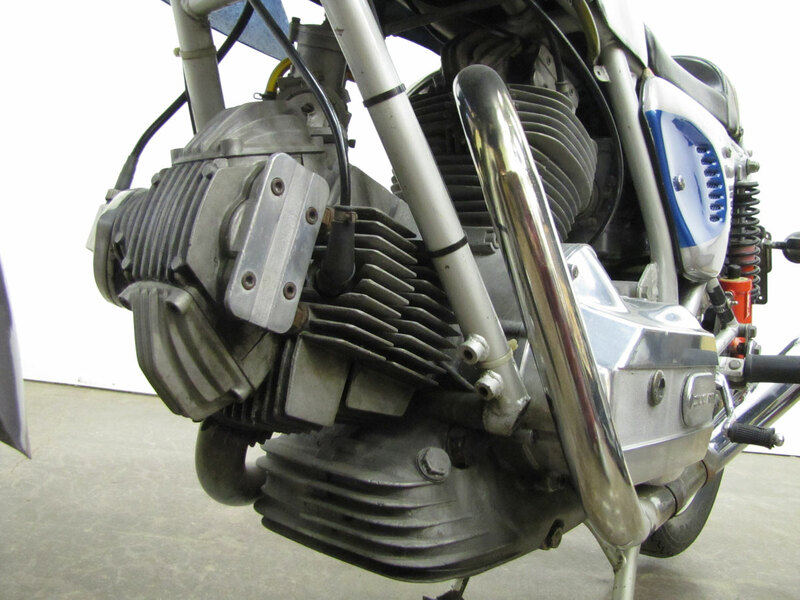 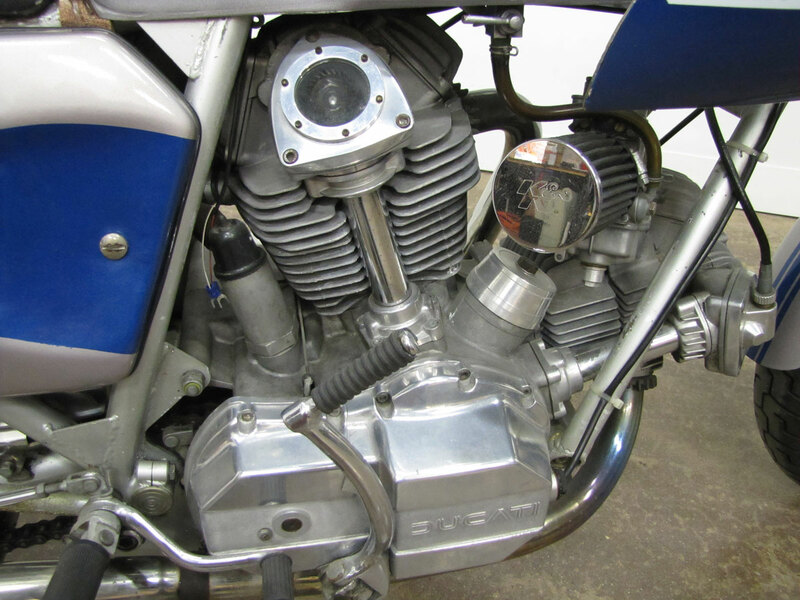 And their new V-Twin engine with “tower shaft” gear driven cams was highly dependable, greatly overbuilt. 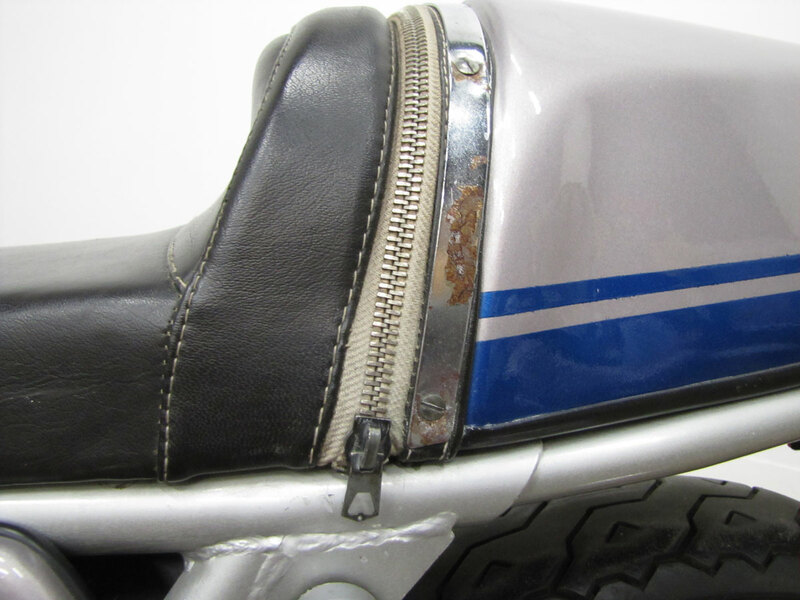 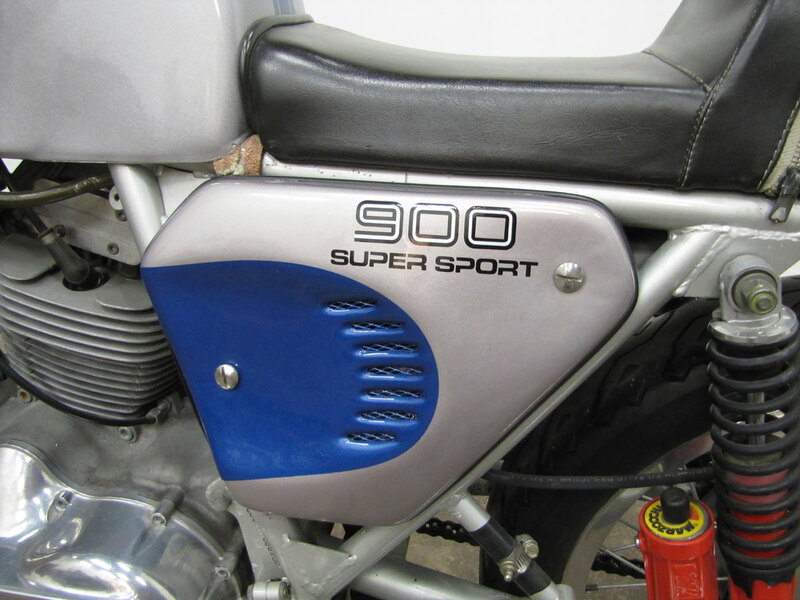 The 750 Super Sport was completely uncompromising offering a minimal fairing, solo race seat and clip-on style bars. 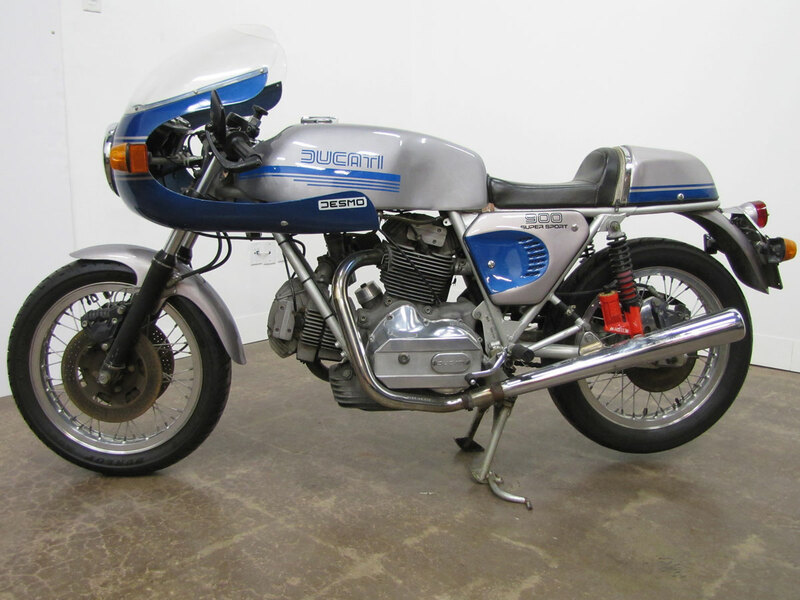 In 1971, when early production 750GT twins were first available, Ducati was showing the world what would become its supreme, championship winning 750SS designed by the great Fabio Taglioni. 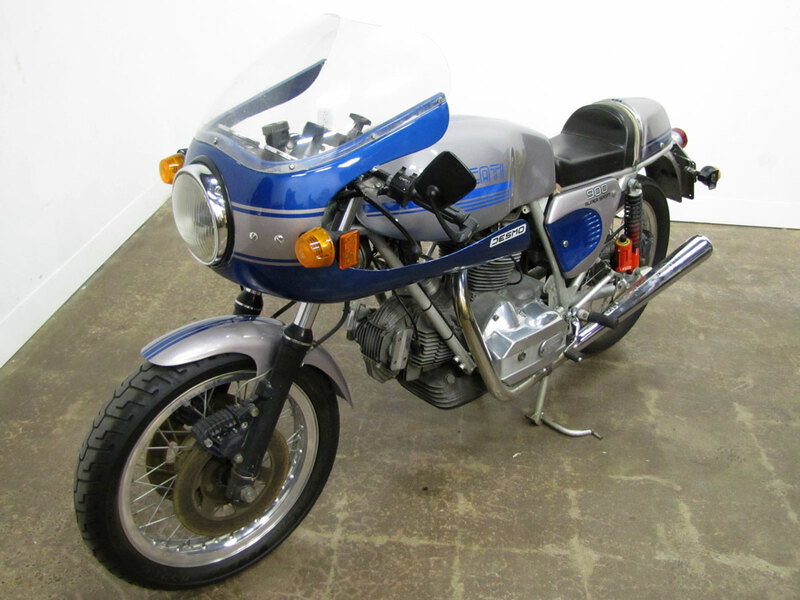 Only a few hundred “green frame” 750SS’s were hand built and are extremely desirable today. 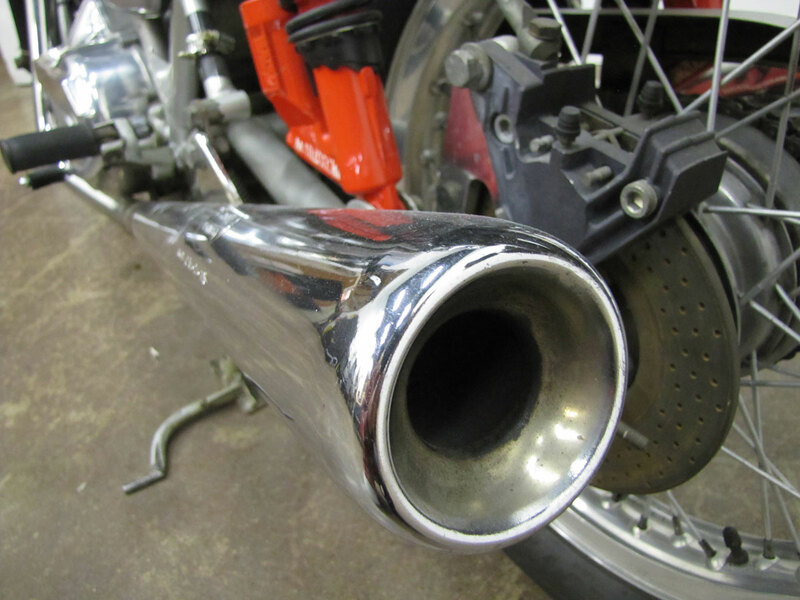 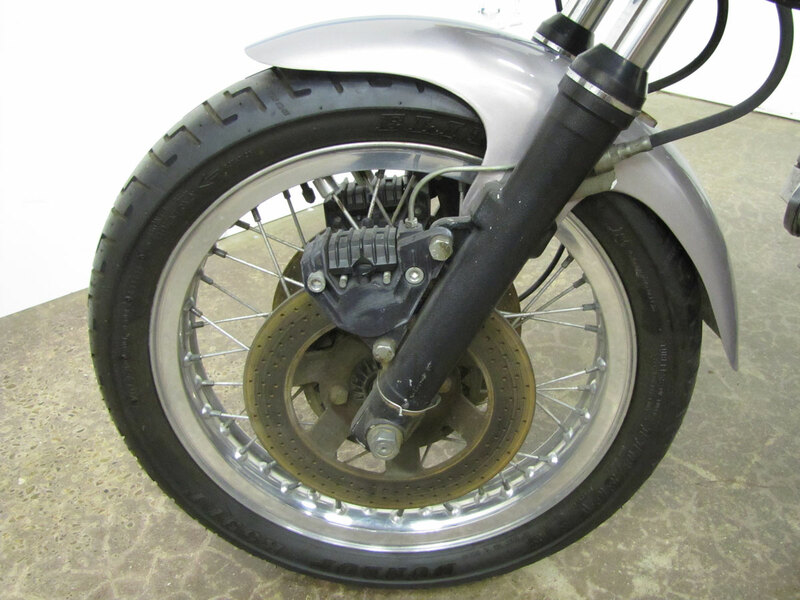 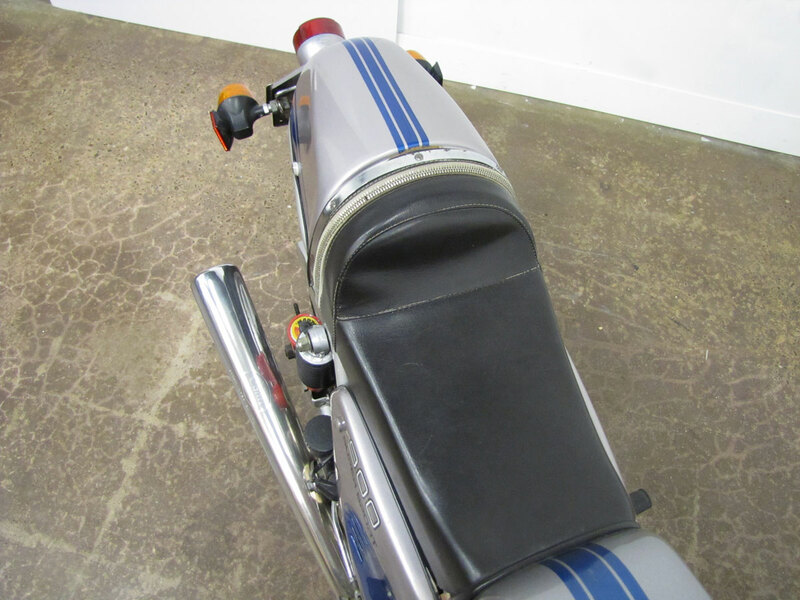 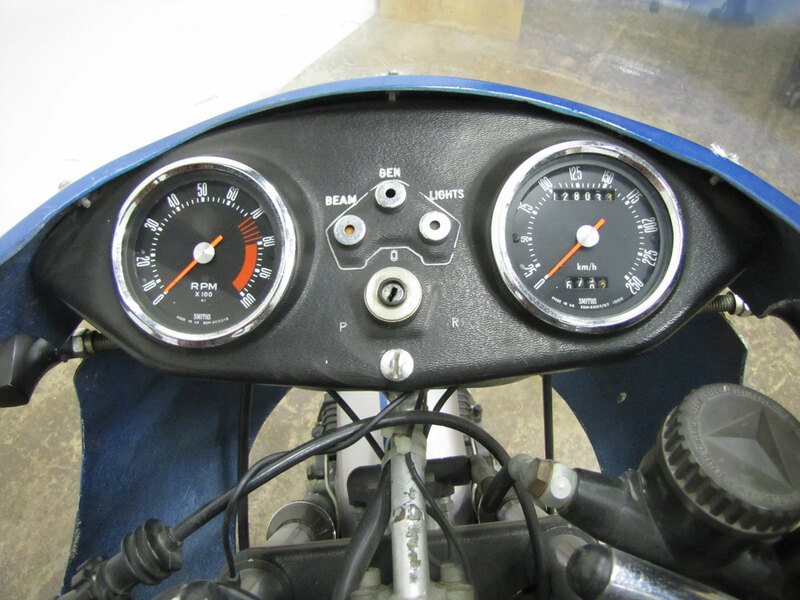 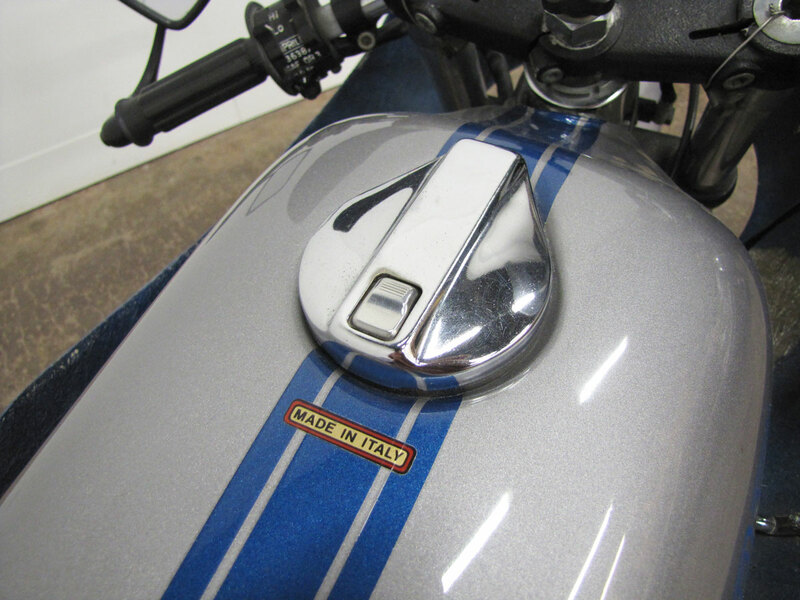 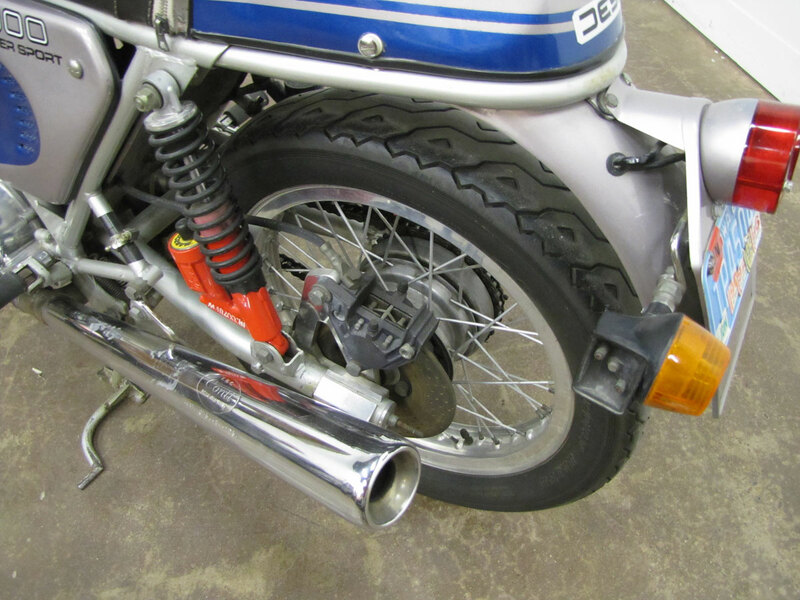 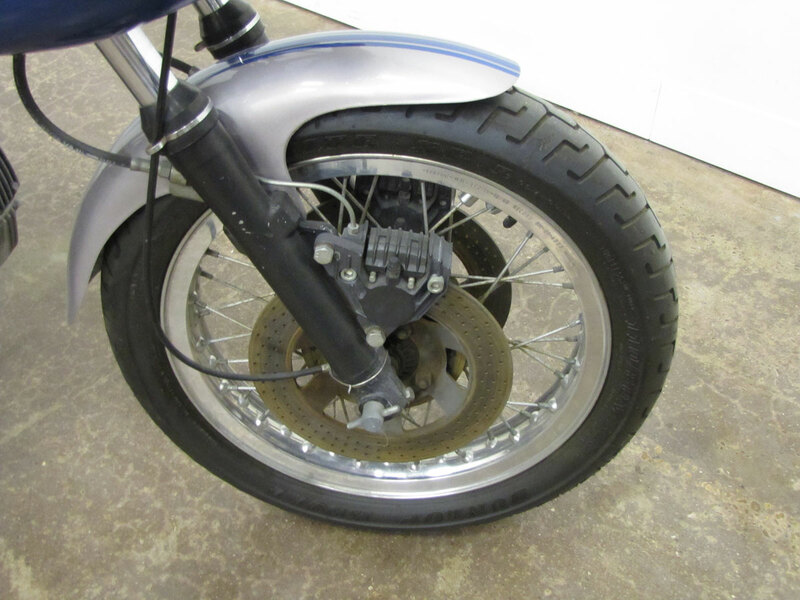 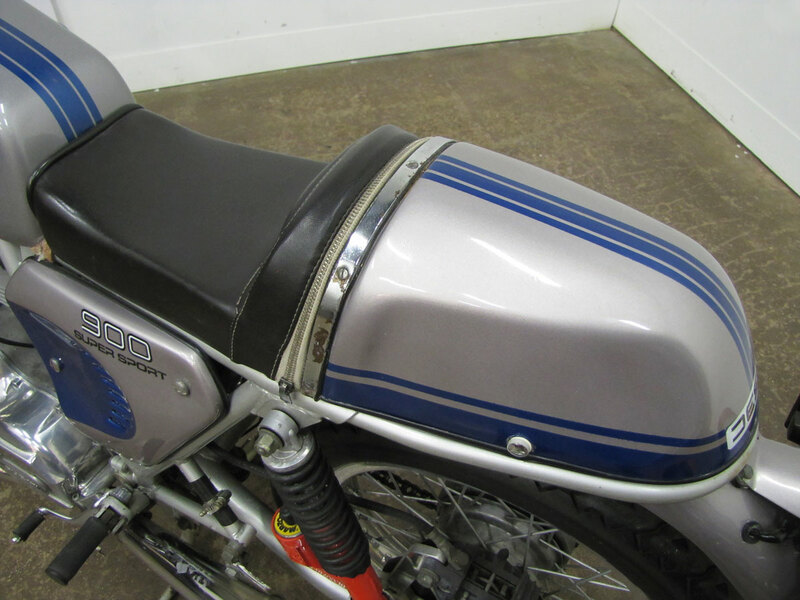 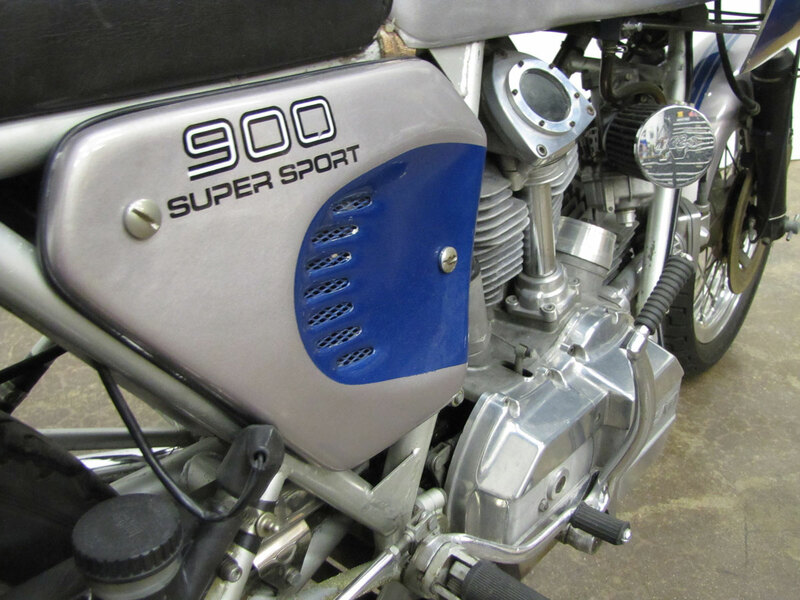 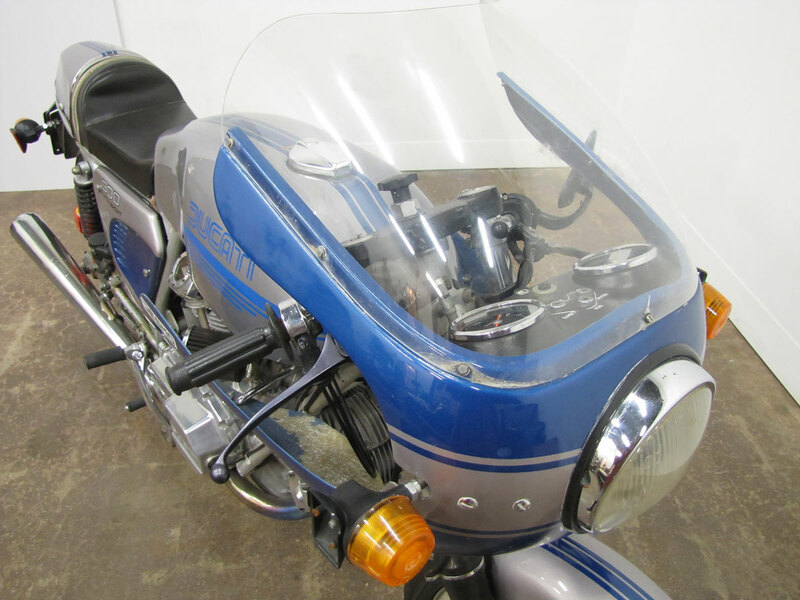 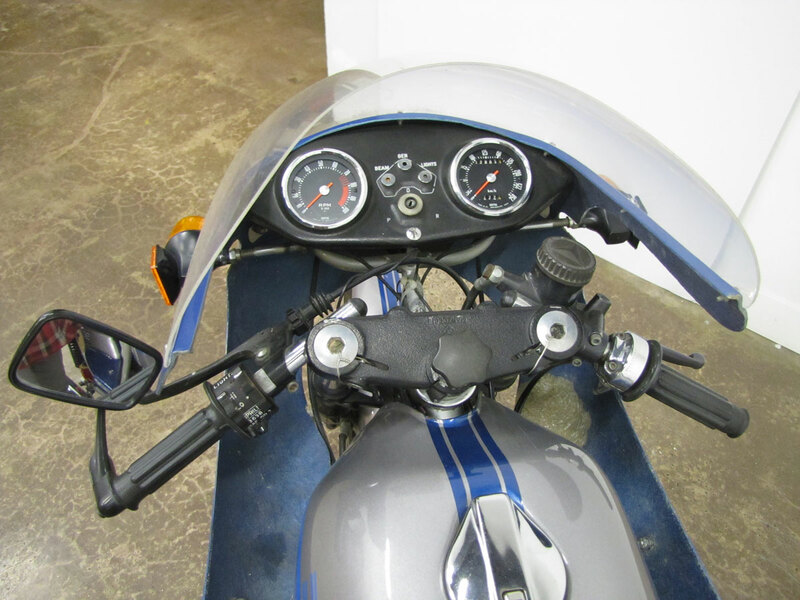 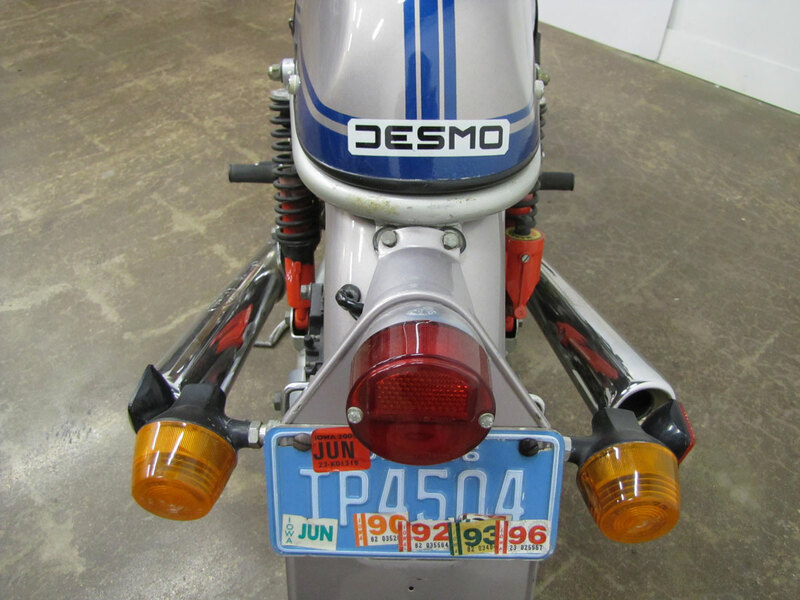 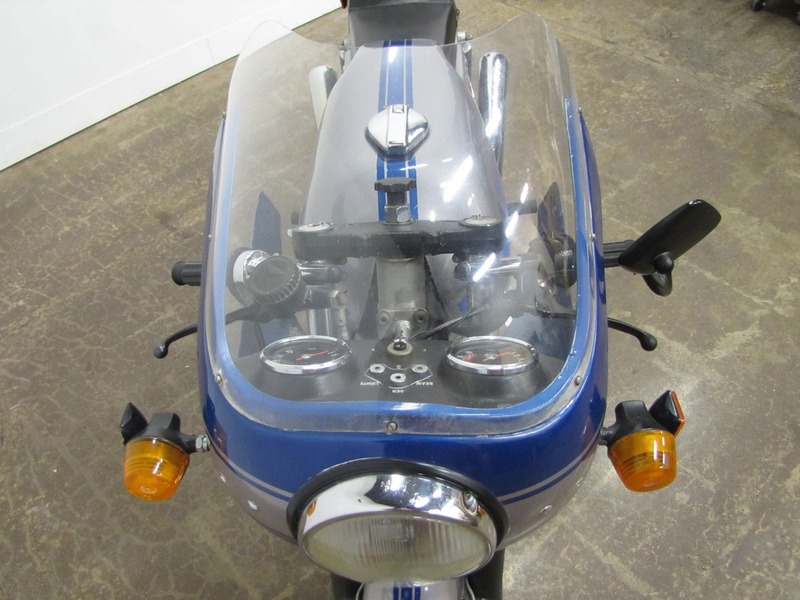 Within a few years the silver and blue 860cc version, the 900 Super Sport like this week’s featured bike, came available, essentially identical except for a bump in displacement, square cases and different graphics. 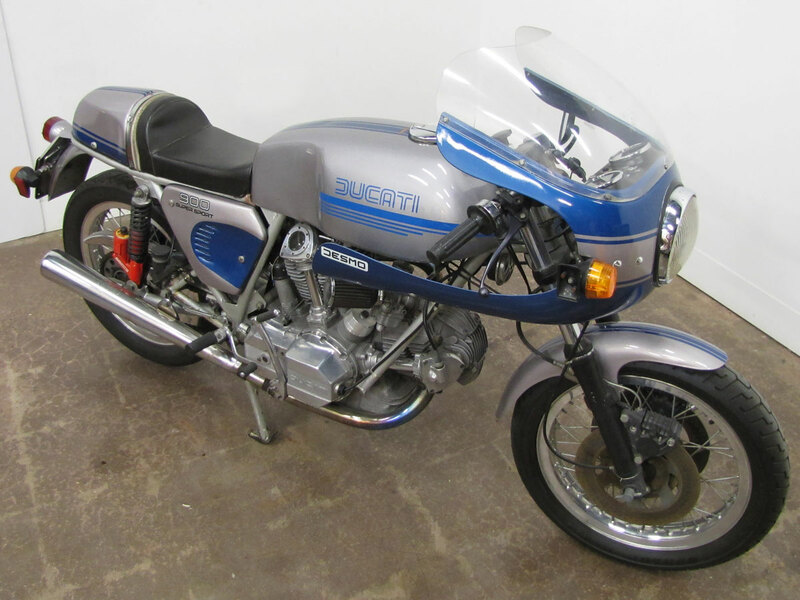 With its race wins and the general superbike performance of the 750SS, the 900SS and related yellow 750 Sport, Ducati was firmly set into Superbike territory. 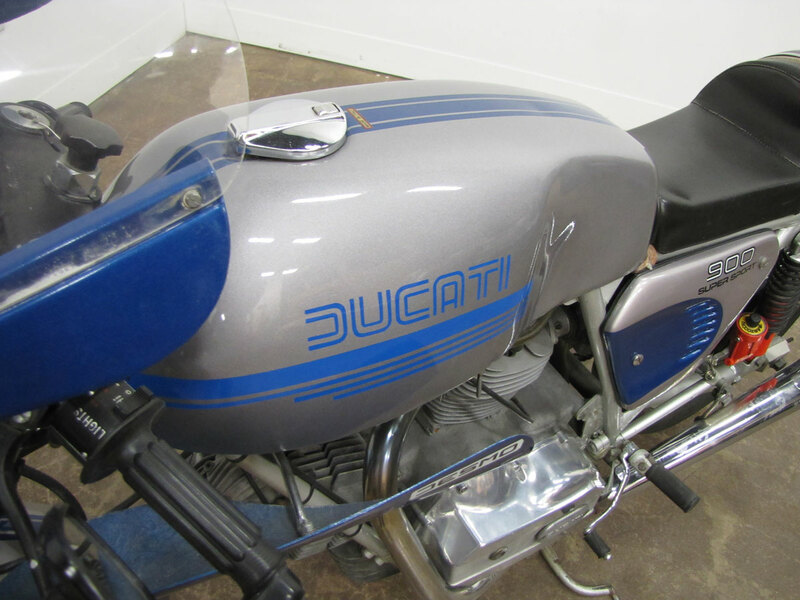 Ducati had not built any motorcycles pre-World War II. 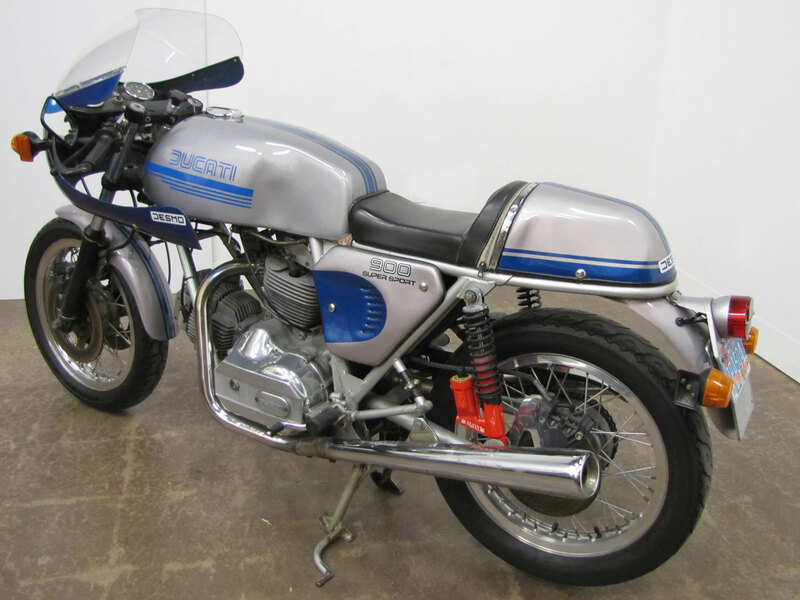 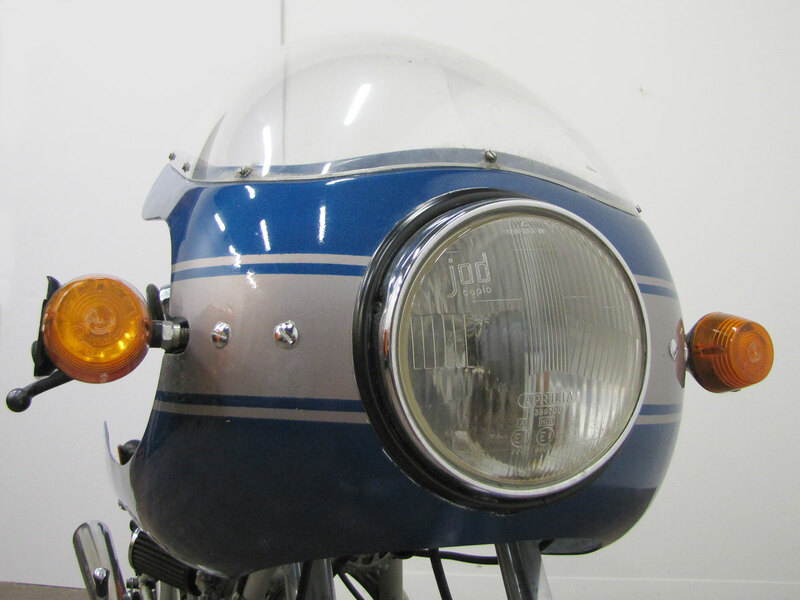 Starting with the 50cc Cucciolo in 1946, for about 25 years Ducati focused on sporting and utilitarian single cylinder bikes up to 350 cc’s, then moved up to V-Twins in the early 1970’s. 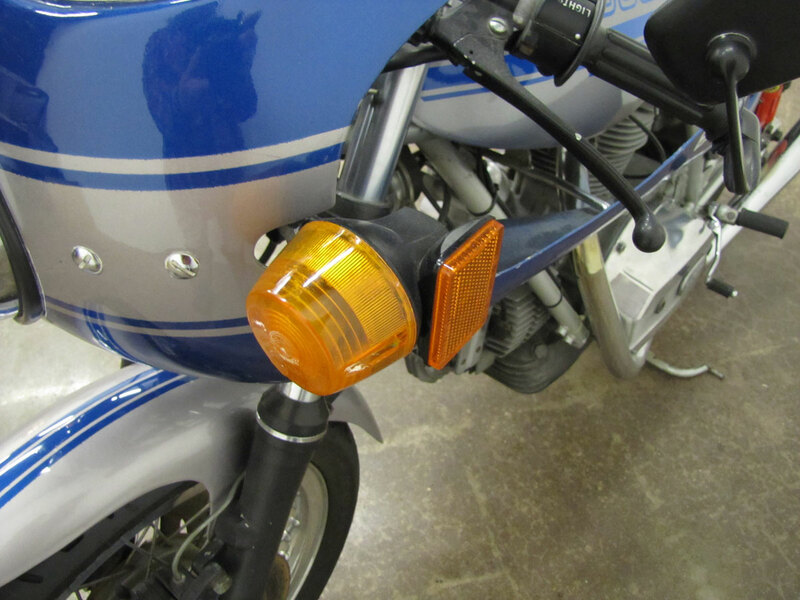 Their focus previously was electrical devises like condensers, radios, shavers, calculators and cameras, even refrigeration equipment. 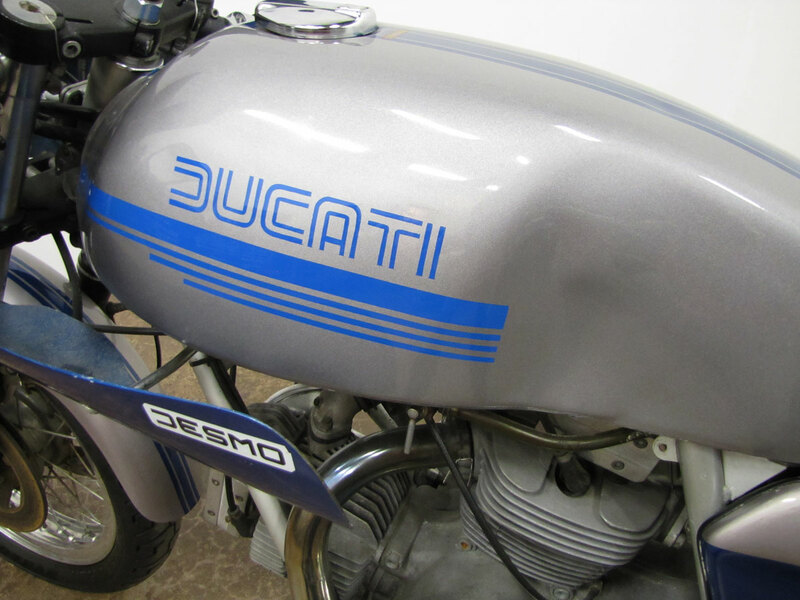 Transforming bicycles into motorcycles, filling the needs of the Italian population, getting them to work is what drove Ducati to its success in motorcycle manufacturing. 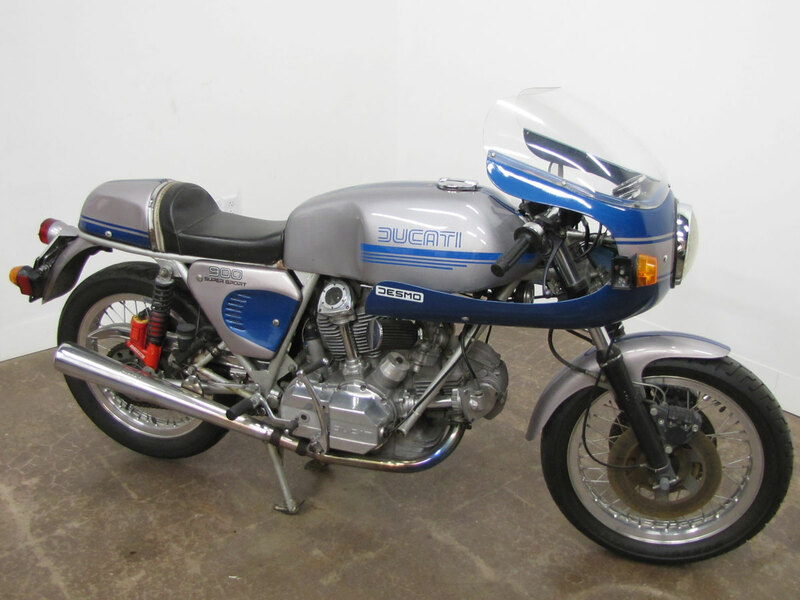 When you visit the National Motorcycle Museum you can see this fine 900SS and several other Ducatis including a 1979 Mike Hailwood Replica celebrating Hailwood’s 1978 TT win, and the interesting and more modern 2001 MH900e. 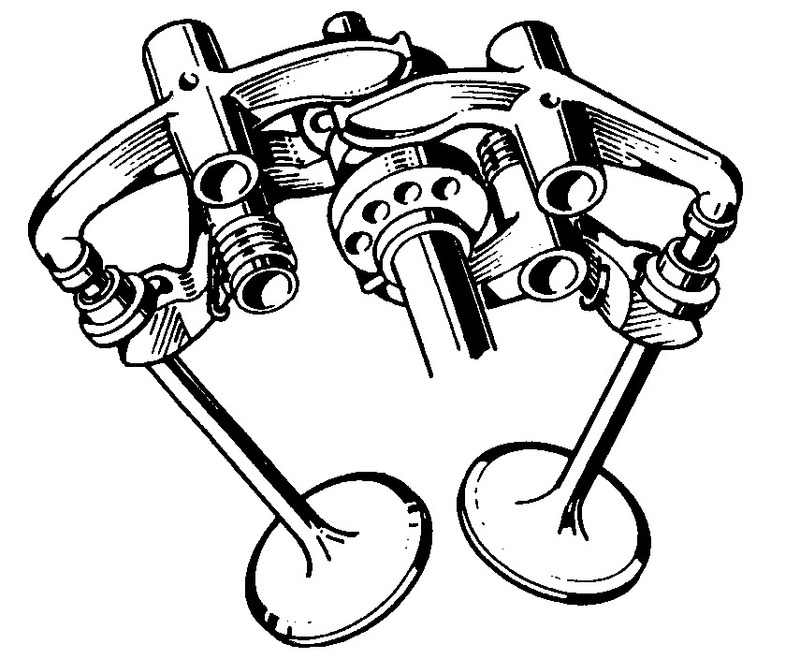 *Desmodromic valve trains use two cam lobes to control opening and closing of each valve; one cam lobe opens the valve, the second cam lobe forces the valve shut. 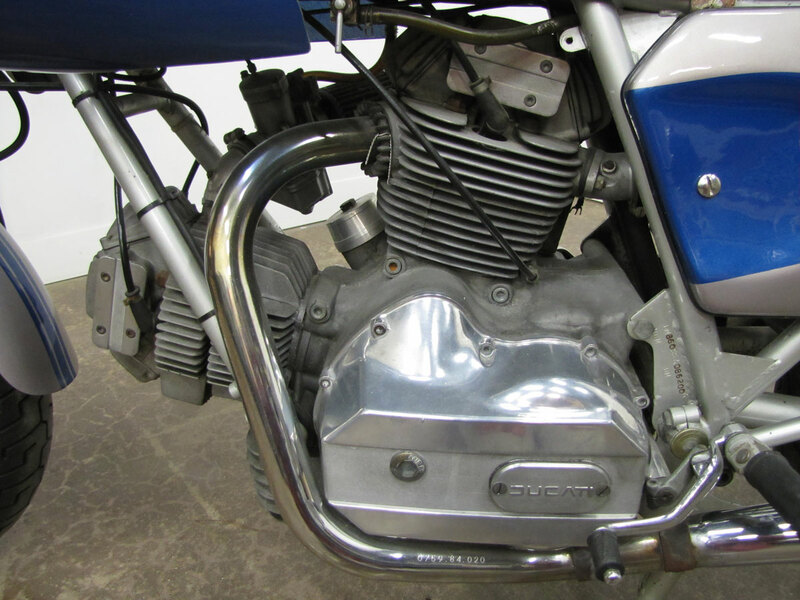 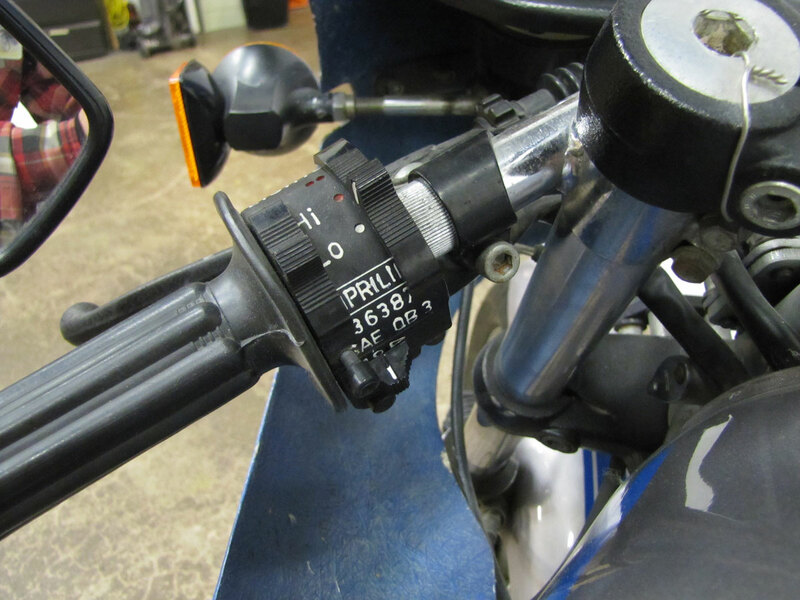 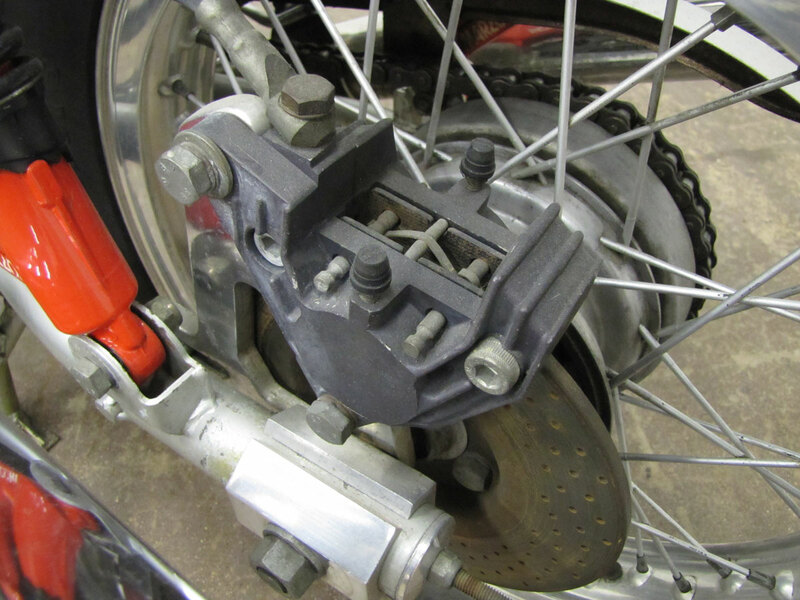 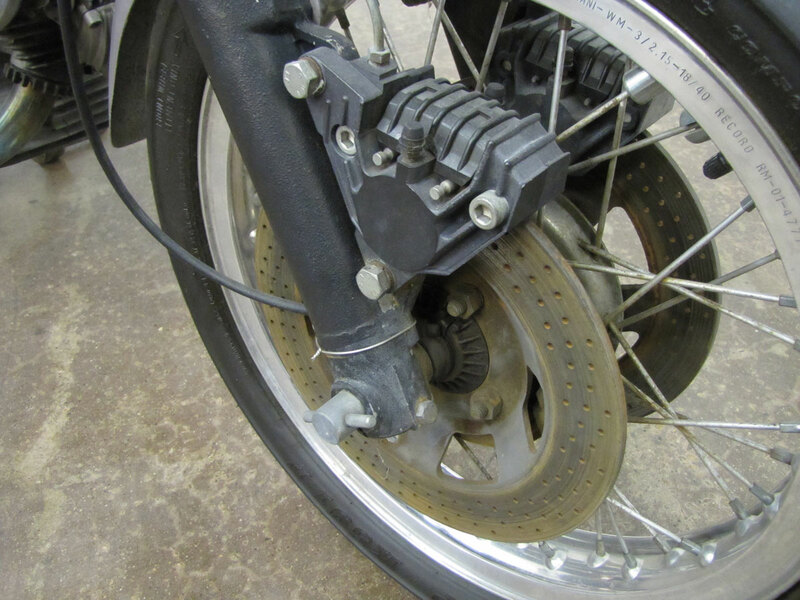 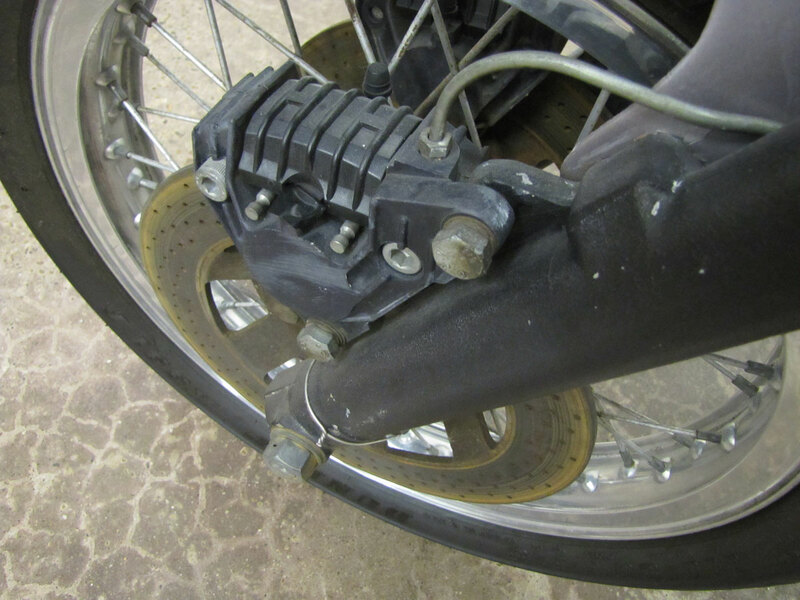 Most engines, like the production 750GT, use one cam lobe to open the valve, but a coil spring to close it.